Owing to technical shortcomings, the building Max Bächer designed on Stuttgart's Königstrasse, erected in 1974 and boasting an almost sculpturally staggered façade, has been given a new skin. The renovation was planned and coordinated by the architects Lederer, Ragnarsdottir and Oei. 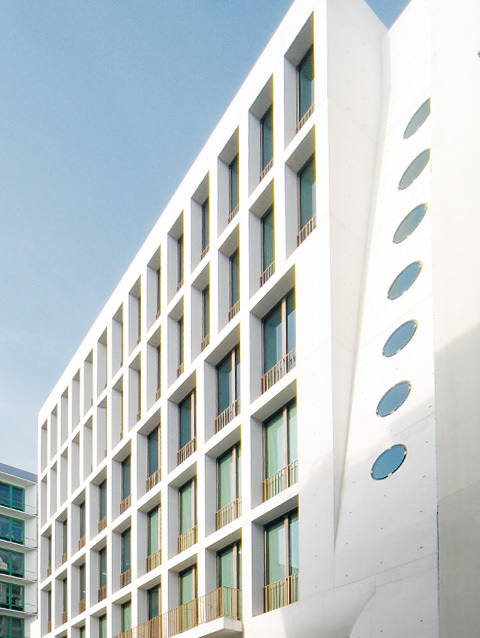 The old façade made of eloxy aluminum has been replaced by a self-supporting façade made of white concrete. What were once large open entrance areas and open-plan offices, for which tenants could no longer be found, have been transformed into smaller office spaces. In terms of spatial configuration, the new building engages with the office/commercial block designed by Paul Stohrer in the 1950s. The new cube-shaped edifice, and it overcomes a shortfall of 3.60 meetings between the edge of the site and Schmale Straße, takes its cue from the existing urban context: As an office/commercial property, the "Weißes Haus" has a distinctly urban feel to it, sets clear lines and strengthens the urban design at the entrance to Königstraße. 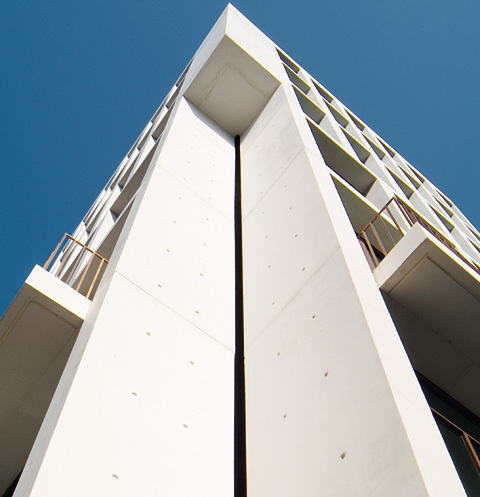 The outer façade as the key design element features columns that are up to 12m high and have a cross section of 40x40 cm. The ingenious Vario 2000 formwork system for columns provided by NOE really came into their own here, with 12 sets of formwork being used in total. The shuttering proper could only be used 3-4 times, as the fair-face concrete had to be of a premium quality in the long run. An especial challenge was the entrance area on the corner of Schmale Straße, as here the façade makes a very pronounced curve and the entrance boasts a bulge. Here, again, the NOE formwork system proved its worth, enabling special crafts formwork with a radius as small as 110.0cm. 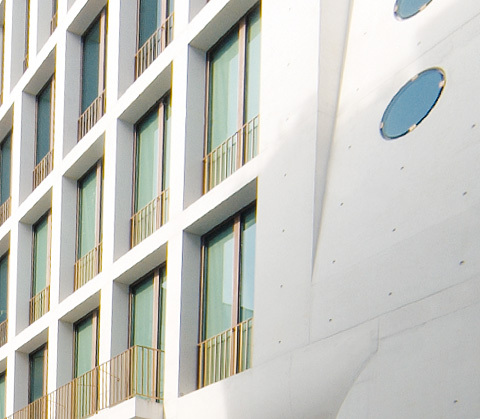 The surface of the concrete was not treated further after removal of the formwork, meaning that the fair-face façade truly reflects the shuttering that had been impressed on it. 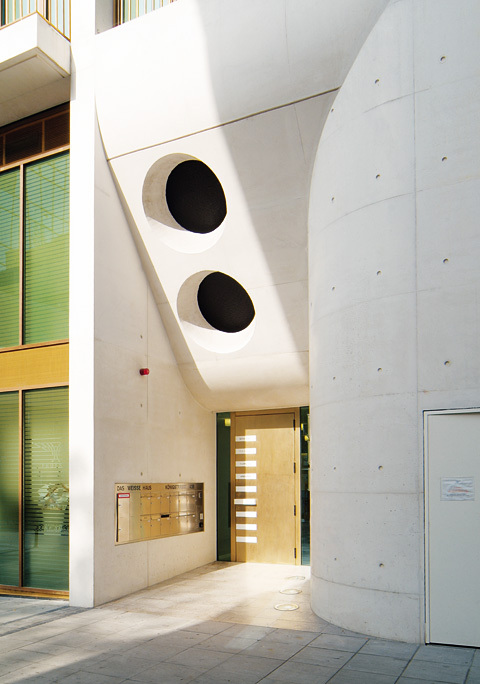 The concrete itself consists of a Dyckerhoff AG product, a company which architects tend to prefer when it comes to high-grade and long-serving fair-faced concrete surfaces. 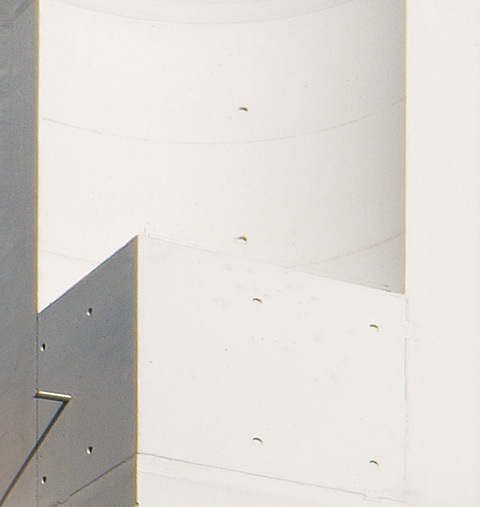 Dyckerhoff Weiss FACE was used for "Weißes Haus", with titanium oxide added to prevent any rapid weathering or soling of the facade. 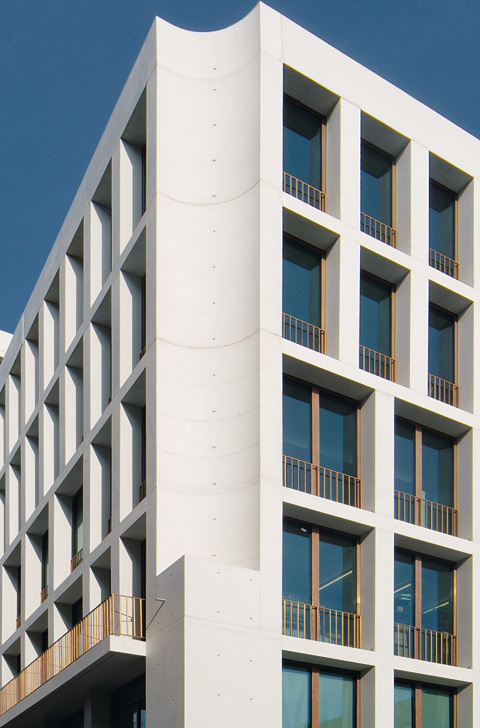 Given the high white component in Dyckerhoff Weiss FACE more or less any type of façade can be created using it, ranging from white through to gloss colored concrete finishes.